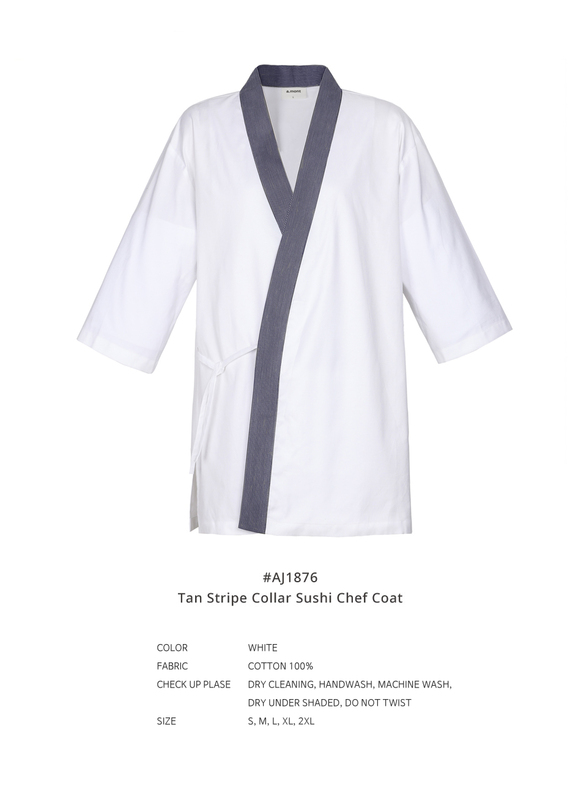 A sushi chef coat with slightly loose fit. 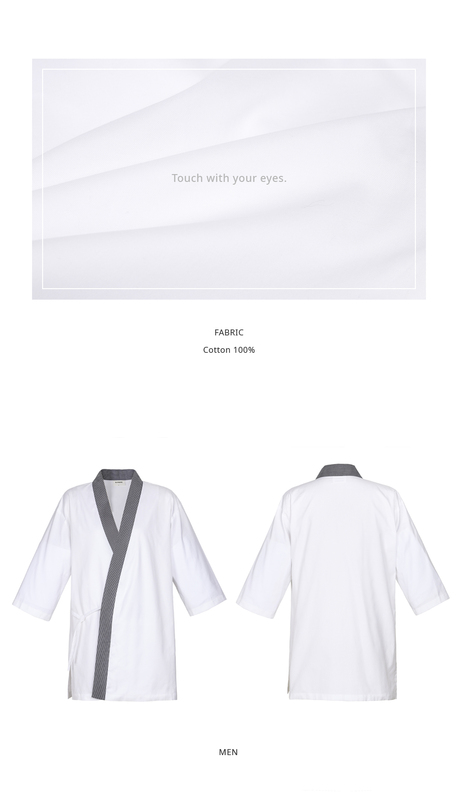 that allows you to feel the texture of the fabric. It is designed with stripe fabric along the neckline. There is a strap inside the waist, fitting the size.